The High Court on Thursday affirmed or upheld the Mongar District Court’s verdict on the Gyelpozhing Land Scam case. The OAG had earlier argued that the ACC does not have a legal case or the right to prosecute the case. The former National Assembly Speaker’s lawyer also had taken the same position in court asking the court to throw out the case. 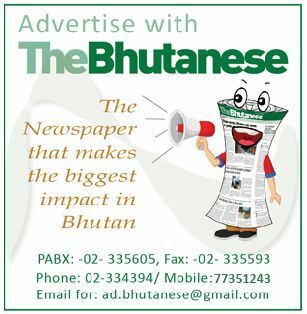 As per the verdict, the High Court says that ACC can prosecute based on Article 27 section 6 of the Constitution, section 27 (3) of the ACC Act and section 31(2) of the Civil and Criminal Procedure Code of Bhutan. The circulars gave three criteria for allotting plots which where to people owning and operating licenses businesses in the area, people from the area and then the rest. He also said that the third main issue was that the Municipal Act 1999 had also been violated as the Act in Section 51 (ii) states that in the allotment of plots preference is to be given to local residents. The verdict was a full bench verdict consisting of the 4 High Court Judges including the Acting Chief Justice. As per the verdict former National Assembly Speaker Jigme Tshultim was sentenced to 2 years and six months imprisonment for official misconduct, fraud, and deceptive practices. The earlier charge of forgery of signature of his maid was dismissed due to inadequate evidence. The former Speaker was the Mongar Dzongda and Chairman of the plot allotment committee in 2001 and 2002 when the majority of the plots were allotted. The former Home Minister Minjur Dorji and 13 Plot Allotment Committee Members were sentenced to a year of imprisonment for official misconduct. All those sentenced can pay Thrimthue in lieu of imprisonment. The convicted have 10 days to appeal to the Supreme Court. 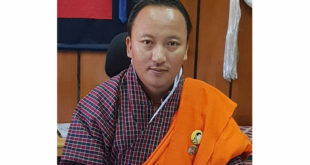 Earlier, the Mongar District Court had found the former National Assembly Speaker guilty of illegally allotting plots to 23 individuals during his term as the Mongar Dzongda and Chairman of the Plot Allotment Committee of Gyelpozhing in 2001 and 2002.The verdict read the plot allotted to his maid Nima Zangmo must be given back to the government. The former Home Minister Minjur Dorji as found guilty of allotting plots to Kharchu Dratsang, Dremitse Dratsang and to Kuenzang Dema, the wife of a Kurichhu project engineer during his tenure as the Mongar Dzongda in 2005 and 2006, and also as the Chairman of the Plot Allotment Committee. The court ordered that these plots must be returned back to the government. 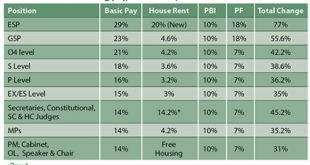 The 14 Plot Allotment Committee Members were given a one year sentence for not carrying their duties with diligence. 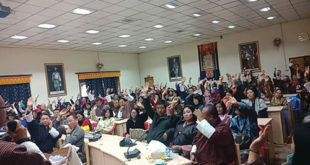 The district court had ruled that the Speaker and the Home Minister have failed to abide by the Fourth Druk Gyalpo’s Kasho issued back in 1987,and the allotment criteria set by the Works and Human Settlement Ministry.